Driven by an enthusiasm for design and born out of a collaborative partnership with its makers and crafts people, Netherlands-based, Jupe By Jackie celebrates the craft of hand embroidery. 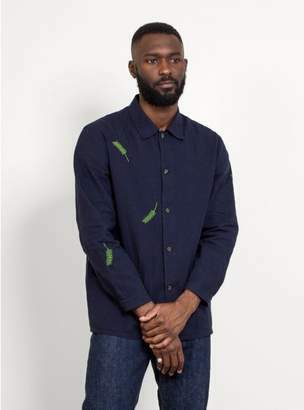 The Embroidered Linen Jacket, exclusive to Garbstore, is rich in colour and texture, cut from all natural materials and featuring all-over, hand embroidered detail. - Exclusive to Garbstore - Hand embroidered design. - 55% Linen 455 Cotton - Navy.